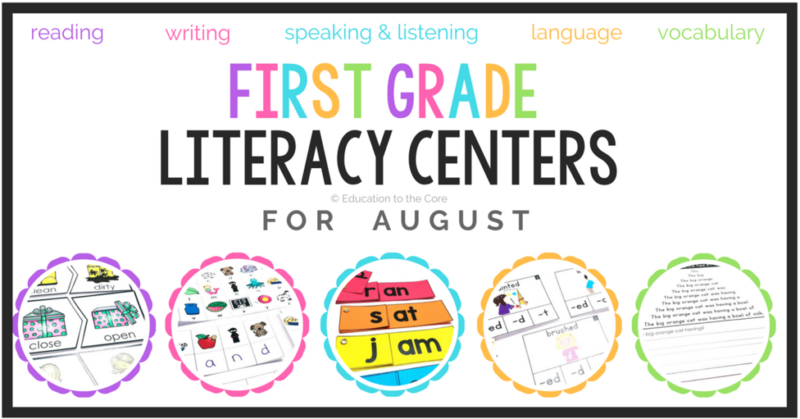 First Grade Literacy Centers for AUGUST are here! 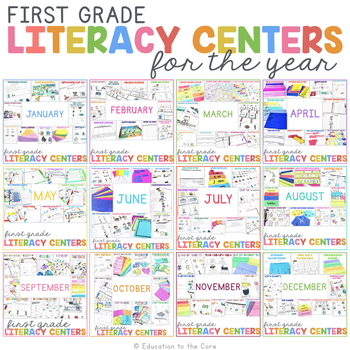 Kick-start your year with meaningful, intentional centers to get your students engaged right off the bat! 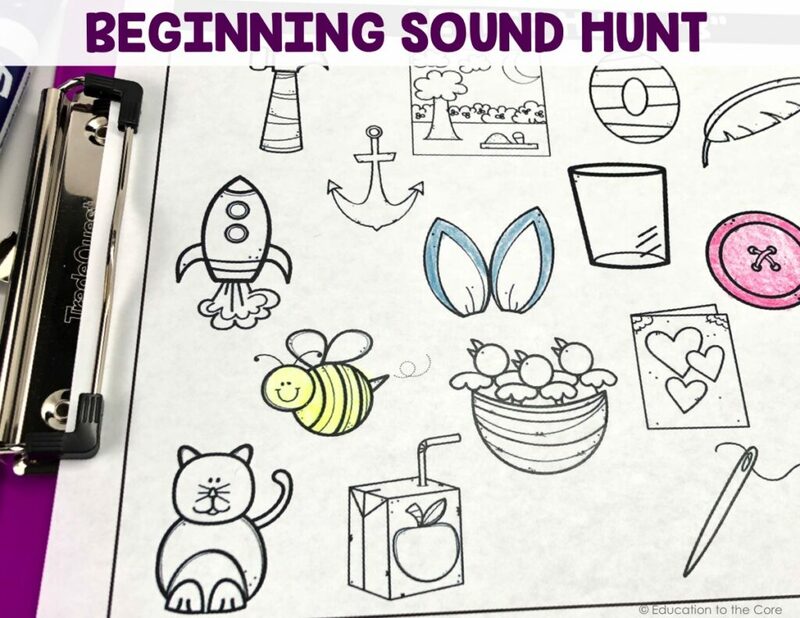 Beginning Sound Hunt: Students will identify all the objects that have the same sound. 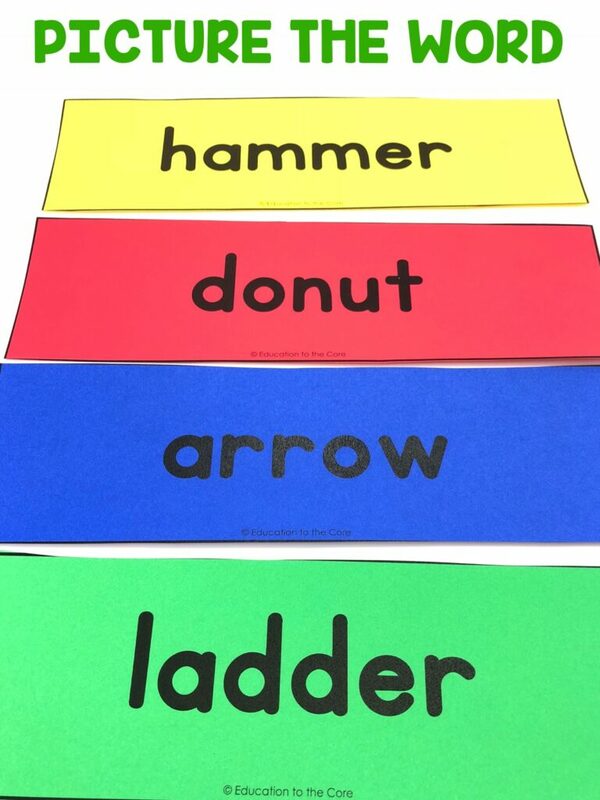 CVC Puzzles: Students will be saying and writing all the sounds in the object on each CVC Puzzle. 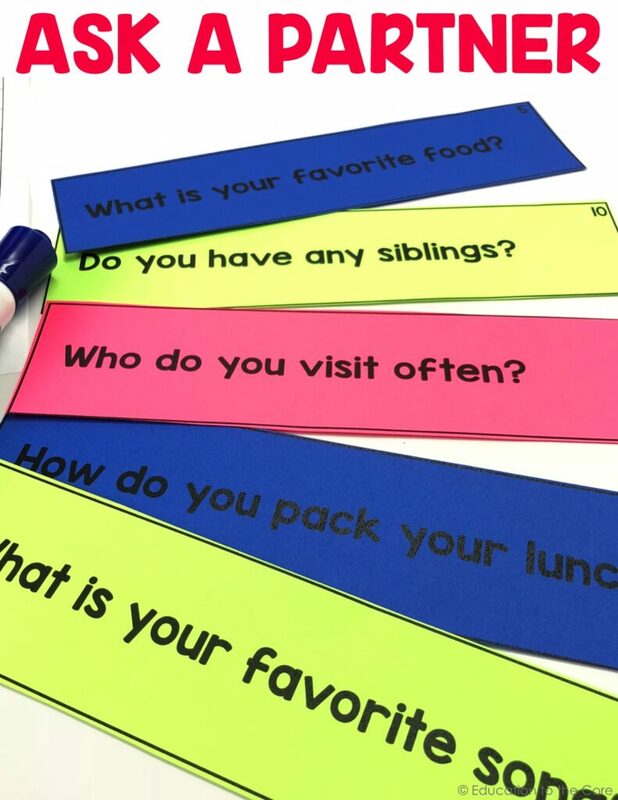 Ask a Partner: Students will be speaking and listening using the “Ask a Partner” question prompts. 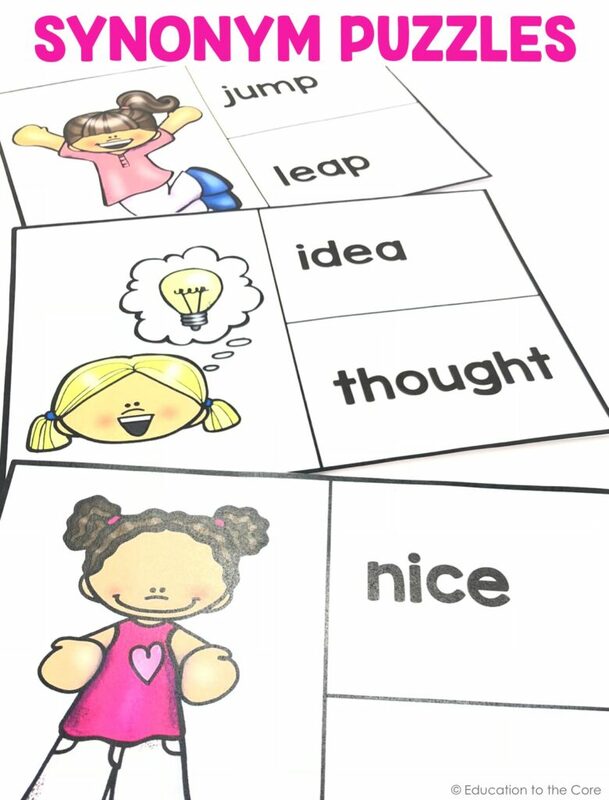 Synonym Puzzles: Students will be finding the words that have the same meaning and matching them by completing the puzzles. 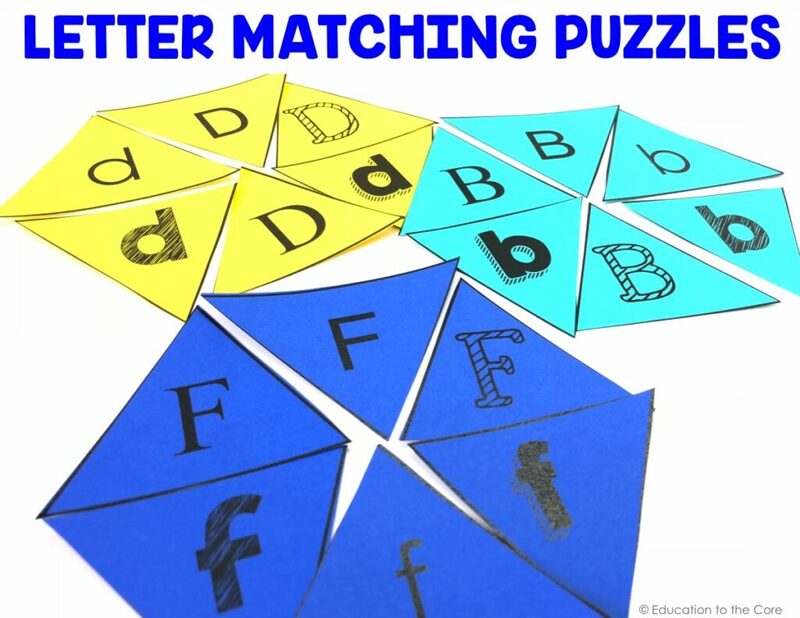 Letter Matching Puzzles: Students will be matching all the letters that are the same by completing the puzzles. 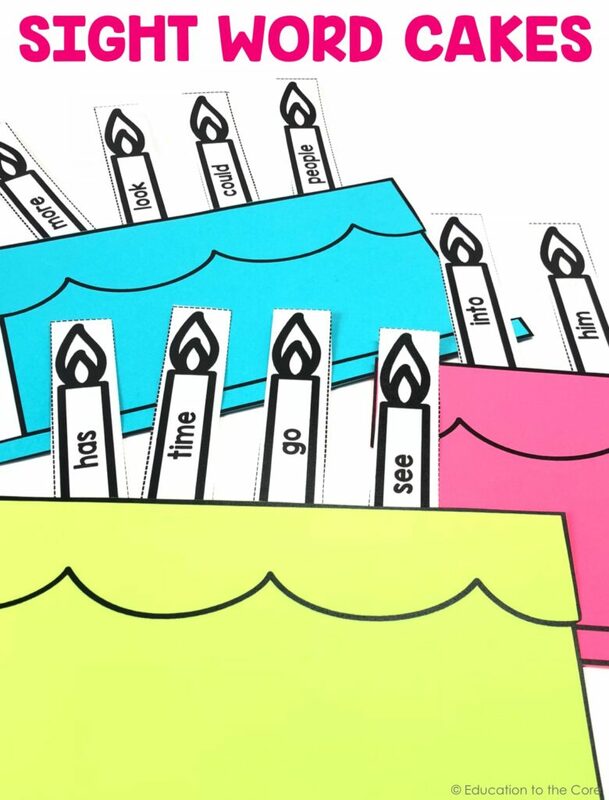 Sight Word Cakes: Students will be reading and saying each sight word and adding them to the cake. 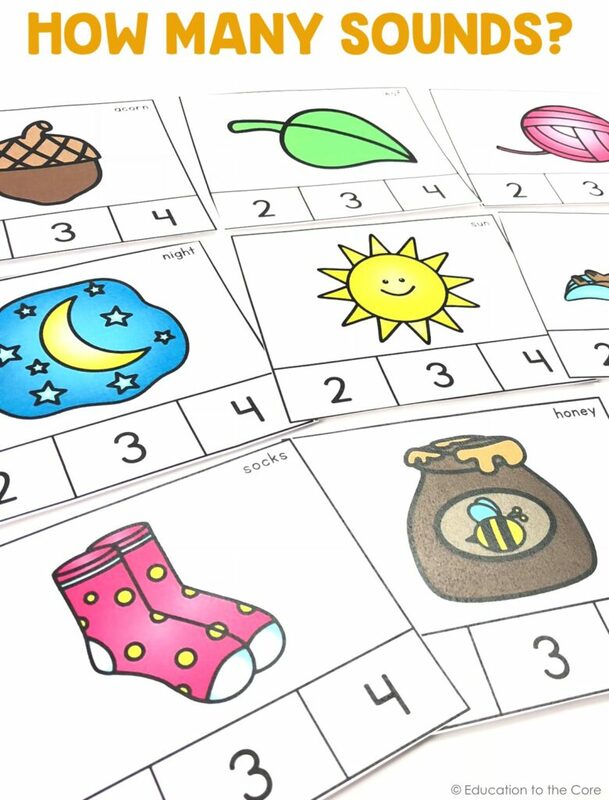 How Many Sounds: Students will be counting the sounds in each object and “clipping” or circling the number of sounds. 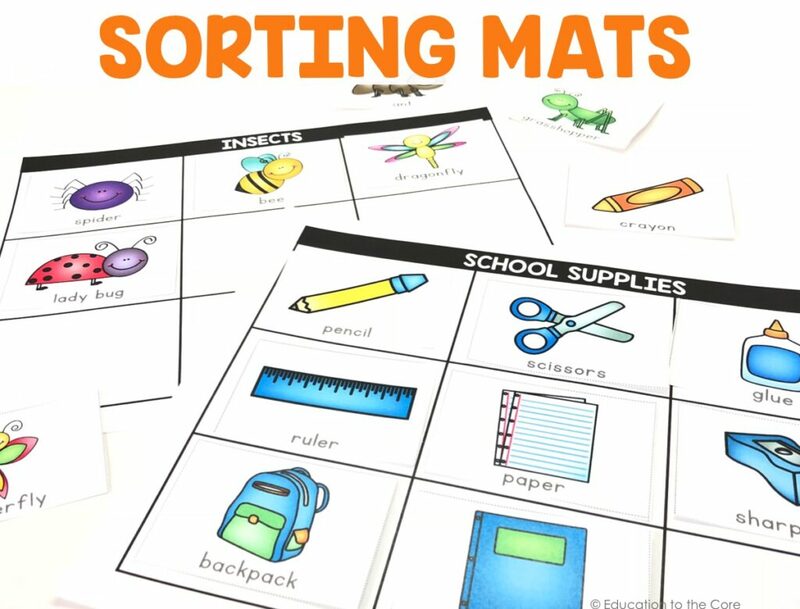 Sorting Mats: Students will be sorting objects and placing them with the correct category. 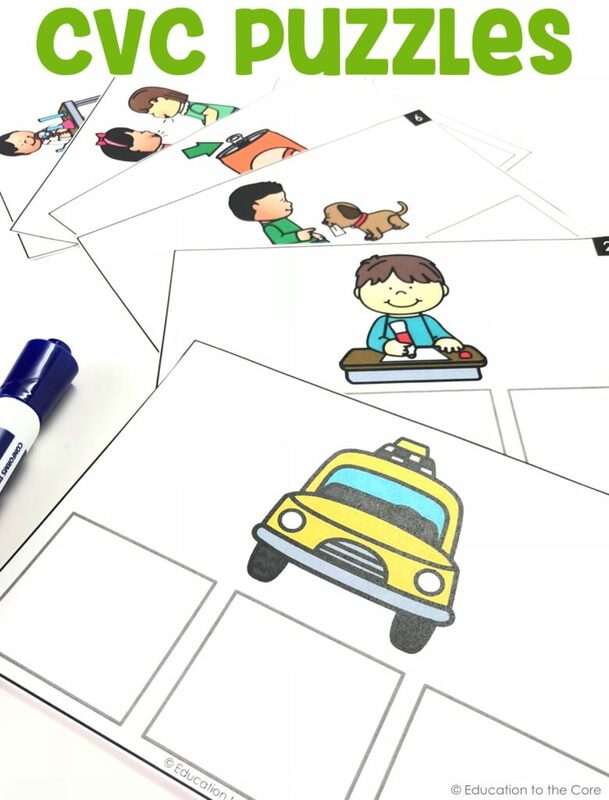 Picture the Word: Student 1 will be reading the word and drawing a picture. Student 2 will be guessing what Student 1 drew. 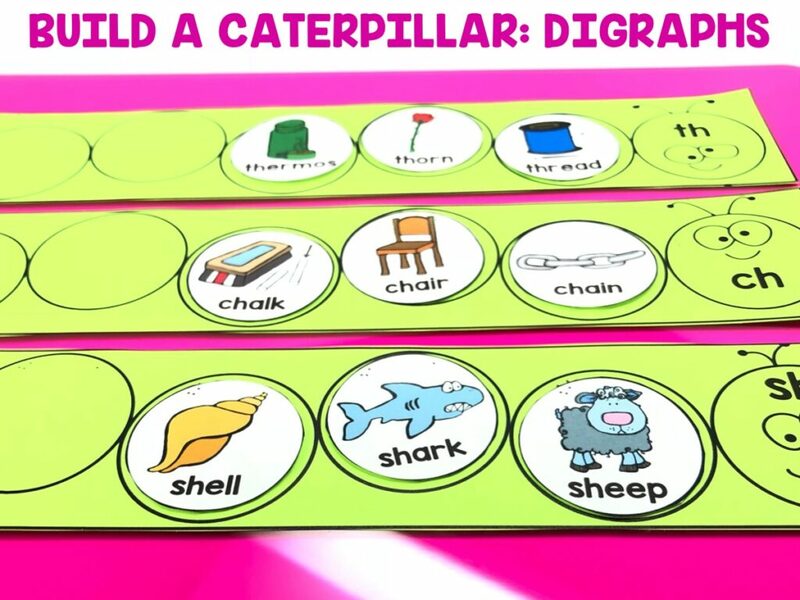 Build a Caterpillar: Digraphs: Students will be reading the digraph, and placing it on the correct Digraph Caterpillar. 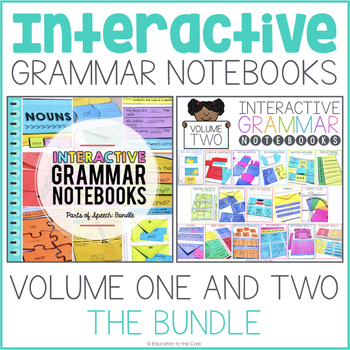 RIGHT NOW, I AM SURE YOU ARE PROBABLY THINKING, THIS IS EXACTLY WHAT I HAVE BEEN LOOKING FOR!!! HOW IN THE WORLD DO I GET MY HANDS ON THESE? 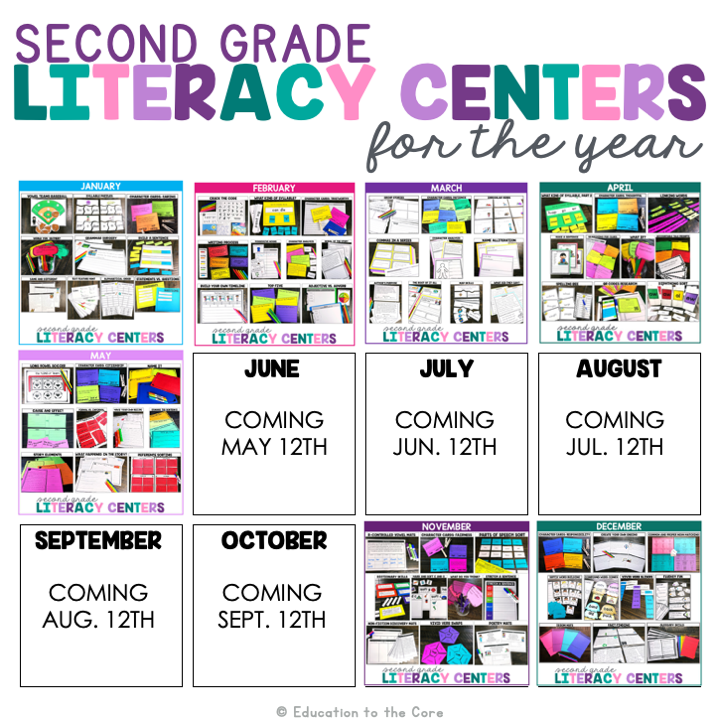 Each month includes 10 Common Core Aligned Literacy Centers that can be rearranged and reused throughout the year! I have done the ground work for you! 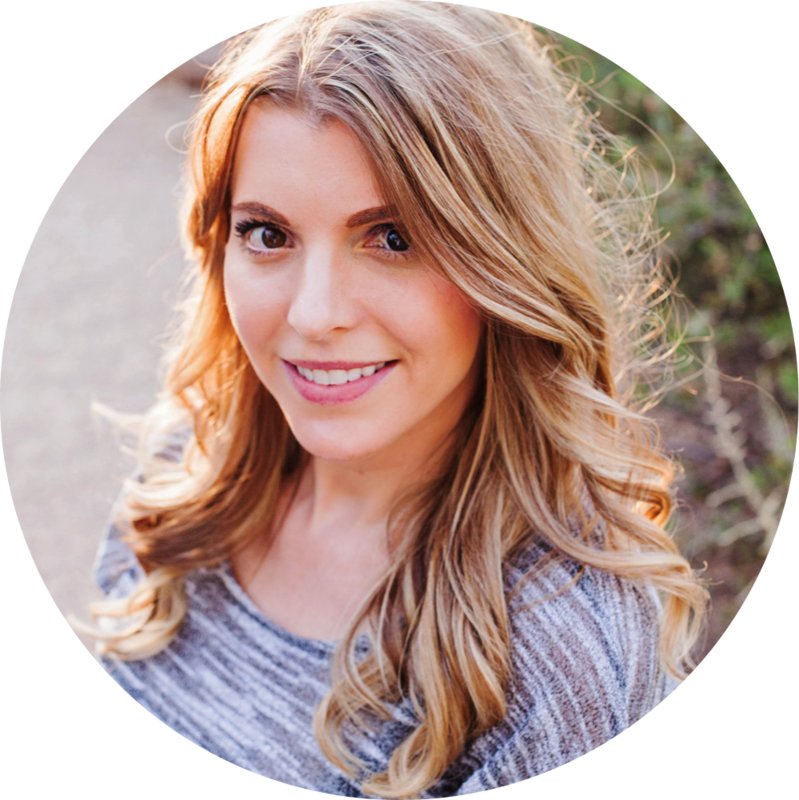 You don’t have to think about which standard it aligns to! It’s all laid out for you. 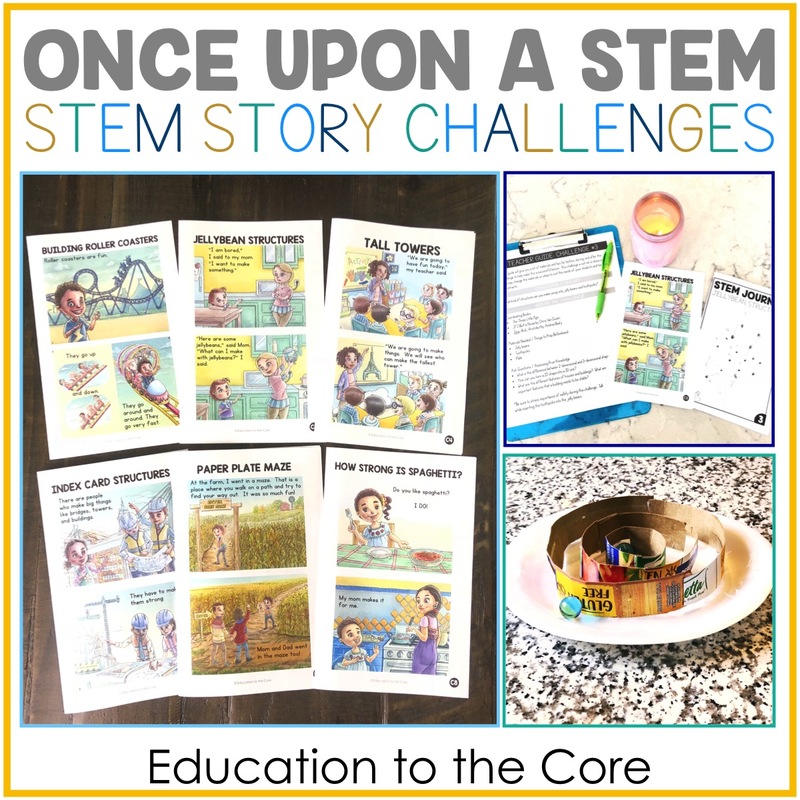 I have provided a scope and sequence so you can see exactly how the activities line up with the standards. That way, you don’t have to worry about what’s coming for those of you who plan far in advance. 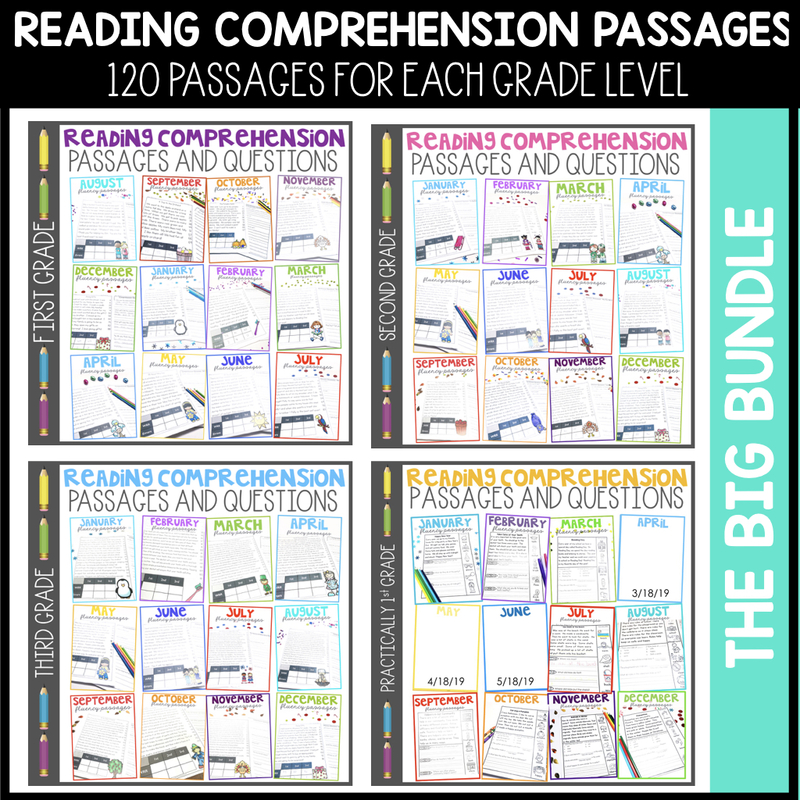 If you’d like to grab this Literacy Centers Bundle, be sure to head over to my TPT store to take advantage of my bundle pricing!